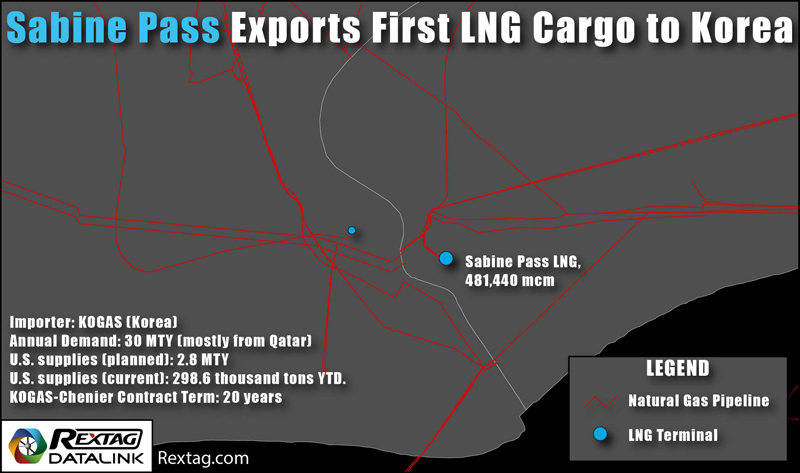 U.S. First LNG Cargo Is On Its Way To Korea. Cheniere Energy shipped it via Sabine Pass LNG Terminal on June 2. Here is the map for you.